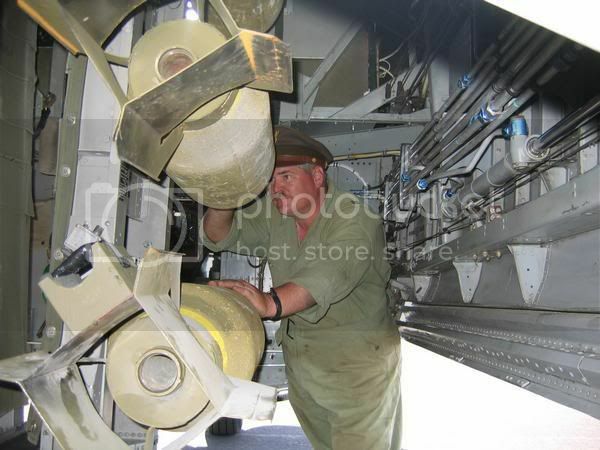 Just checking to see if there is any interest in Army air corps ground crews. 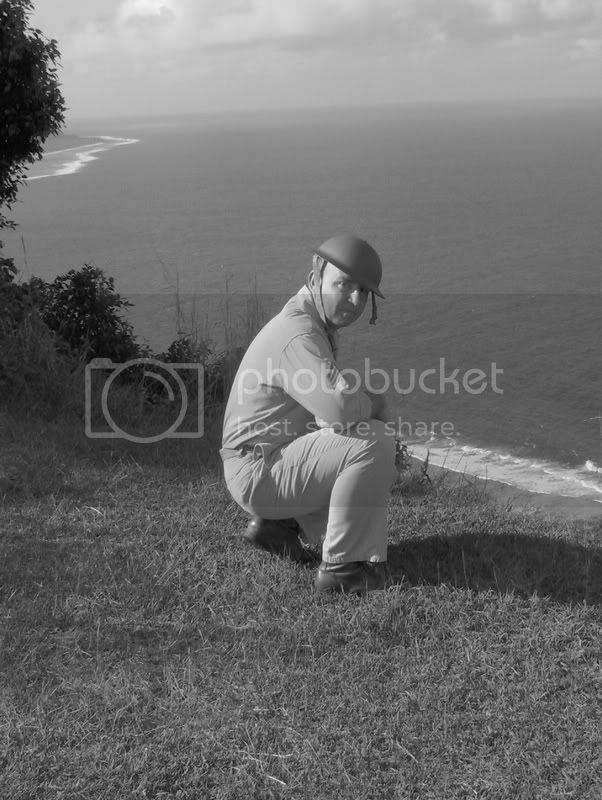 I currently do a mid war impression and I am going to build an early war impression in order to portray crew chiefs who fought as ground troops on Corregidor. I have been looking at the US units in general. I think that just about any US impression is going to cover the whole Phillipine campaign. The only difference I am seeing is, they don't seem to wear campaign hats and they have alot of regular looking shoes. Have you looked any farther into the way they may have looked at the point your speaking of? 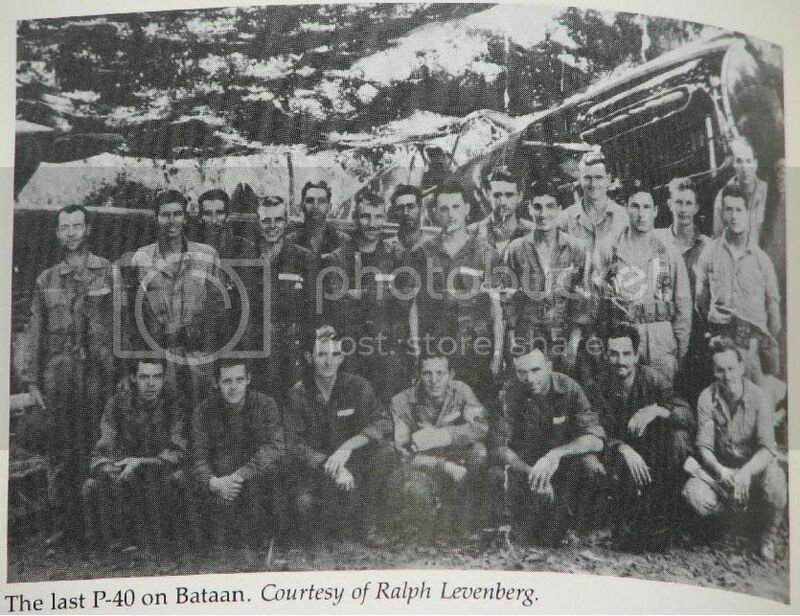 In the book, Bataan Our Last Ditch, there is a picture of an air corps ground crew posing in front a P-40. It seems anything can be appropriate as far as the impression goes. They were wearing an assortment of uniforms. I'll post it later when I get a chance. 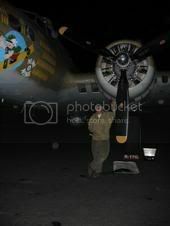 I am also trying to find info on the ground crews who were working the P-26's. I was wondering if any of you fellows had found any aerodrome photos of Clark or one of the other air bases before the war. Thanks for th info and photos. This has some decent stuff in the last 5 pages. This book has a lot more info on the Air Corps in the PI early in the war. More than usually mentioned in other history books. But the pictures are mostly of the different individual planes. No ground crew. That is a GLORIOUS shot! Do you mind is I copy that and post it on my ground crew website? Thanks for showing that one to me. Sure thing. For reference, this picture came from the book "Bataan, Our Last Ditch" by John Whitman. I was watching my copy of "Ghosts of Bataan" and as I was watching one part shows some of the fellows walking past the cameraman (period film) and one fellow was wearing a set of coveralls with a white nametape over the left breast AND wearing an A-3 mechanics hat! He was carrying a model 17 Enfield, wore only a pistol belt with .45, 1st aid kit and canteen, and his pockets seem to be bulging out obviously from stripper clips of 30.06 ammunition. I have been looking for that type of photo for some time and FINALLY found it! Is this the Ghosts of Bataan history channel documentary? Sorry for the delay but Uncle Sam had me working some long hours. I believe it is. I have it with my "Great raid" DVD. I am pretty sure it is an History channel production. Cool. I'll go look for it. Don't work too hard. Rick you wrote that article? You wouldn't happen to have any extra copies laying around that you could part with for a profitable but reasonable price would you? Yes I finally got to see the "Ghost of Bataan" on my Great Raid copy too. Really a Great Documentary. Highly recomended to all! I have that issue Vic I could make photo copies for you or scan them in and just email them to you. I'm going to try and get a copy of that issue, sounds like my luck Rick! Here are some shots from our last display in Stockton CA. 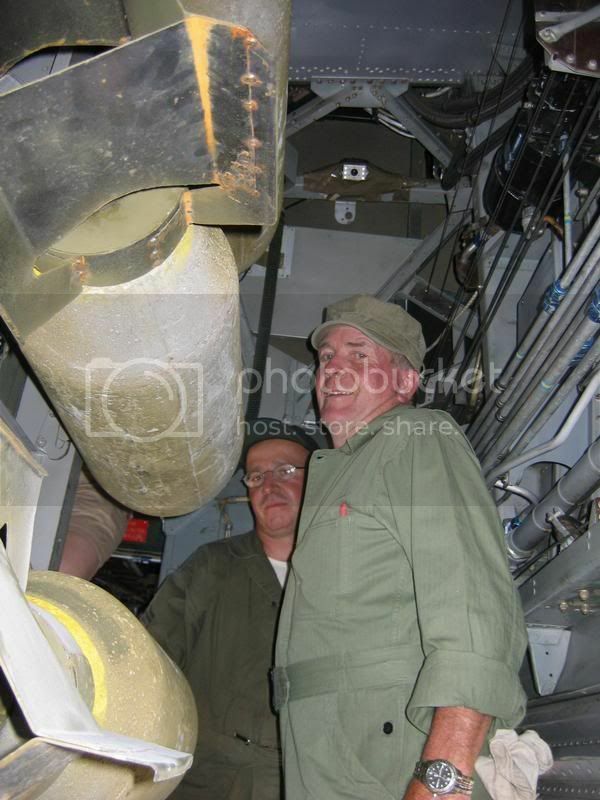 We loaded concrete bombs on the B-24 and THEY DROPPED THEM! Man it was really neat!! Enjoy!